Sunday afternoon thoughts…. Digging deeper than the fluff. I really like the sentiment behind the meme, and one perk of sharing things like this on social media is when someone comments in a positive way. Sometimes, such as in this instance, those comments cause me to think further, challenging me to dig deeper than the fluff. (I’ve never been fond of fluff). A commentator on the post said “The church is the people, not the giant cathedral”. I too agree with this, and it caused me to reflect on thoughts I’ve had in recent years concerning the decline in attendance at church buildings. “The church is not a building, but a body of believers with a specific nature and purpose.” (Robert Velarde). 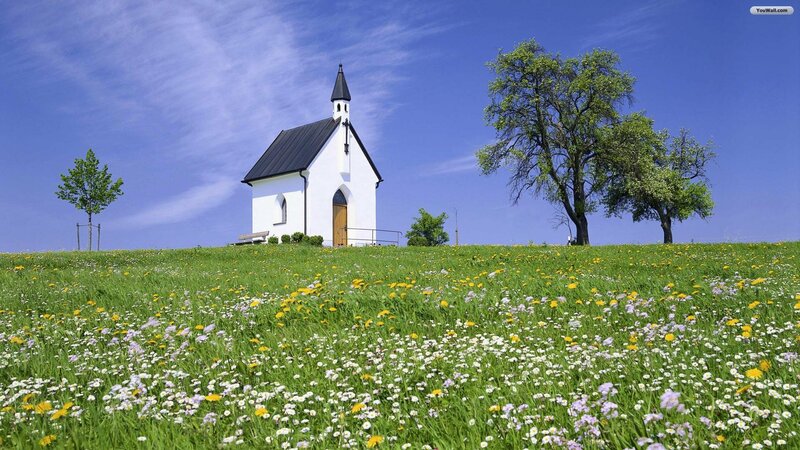 Studies have shown that in recent years church attendance has been declining. Although, those who profess Christianity has held stable. While it saddens me that overall attendance seems to be on the decline, in some ways I’m not surprised. It seems as if the “church” has become so accustomed to fighting a war against satan, that it has forgotten what the Word states will bring people to God. God will draw his people. According to other scripture, God’s people will not be afraid. Except for this… what Christians attending services weekly typically hear, are fear filled. Fear of government, fear of sin, fear of things they are either willfully ignorant of or lack the capacity to understand. Fear. How much time is spent during church services teaching the perfect love of God to his children? I don’t think enough based on this fact… if it were so attendance would not be declining. As human beings that are all full of sin, we are going to have to change our ways in order for the work of the church to be successful. For me, that begins with me. Showing the love of God to others is what Christians must do in order to do the work of the church. Whether inside the building or out -making a lifestyle of compassion and service to all God’s children is what is expected in order to see growth in the church. The body of Christ. Christians, do we have enough faith to stop preaching so much… and show more love? Or, are we going to continue to be led by fear?